Energy Minister Nasalyk says it is technically impossible. 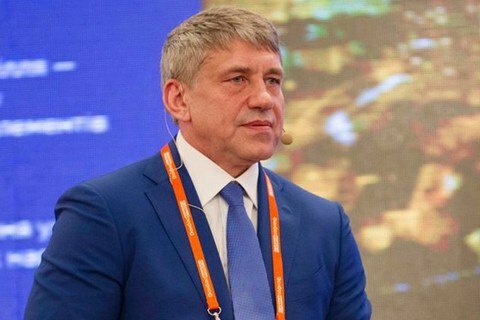 The gas that Russia supplies to Europe via Ukraine will not be confiscated as part of the recovery of the 172bn hryvnia fine that the Antimonopoly Committee of Ukraine (AMCU) slammed on Gazprom, Energy Minister Ihor Nasalyk has said. "The Antimonopoly Committee is an independent body. On the other hand, transit gas is technically impossible to seize, so it is obvious that the AMCU will take some other decision on the implementation of its decisions, although this rather falls into the powers of the Executive Service," the minister told reporters as quoted by Interfax-Ukraine. Ukraine has international obligations on gas transit and intends to meet them, Nasalyk stressed. On 12 December, Russian Energy Minister Aleksandr Novak said that the European Commission has granted Russia verbal assurances that Ukraine will not try to arrest gas that Gazprom will transport to Europe through the Ukrainian gas transport system as part of an earlier ruling of the Economic Court of Kyiv on the recovery of an anti-monopoly fine worth 172bn hryvnia, or 6.6bn dollars. Ukrainian spokespersons later said that Novak has misinterpreted the words of the European official.